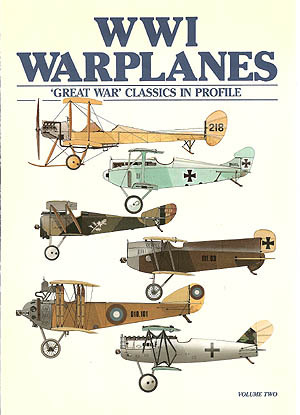 With 52 crammed pages, six unique subjects are all supported by 1:48 and 1:72 scale drawings and sketches. Vol. 2 contains BE2, AEG D.I, Hanriot HD.I, Lohner AA, Anatra DS and Pfalz D.XIV: 84 photos, 20 pages of drawings plus colour profiles offer a rare opportunity to rekindle our early coverage of WWI classics that appeared in the very first Windsock issues..With scale plans by Ian Stair and Colin Owers, plus Ray Rimell's colour profiles, this is a great reference compendium and utterly unique!